The RTEI Community of Practice (CoP) is a group invested in further satisfying the right to education worldwide, who want to learn from best practices in right to education advocacy, lessons learned, and to share their work. The RTEI community of practice focuses on strengthening and sharing experiences about education advocacy towards the full satisfaction and fulfillment of the right to education. 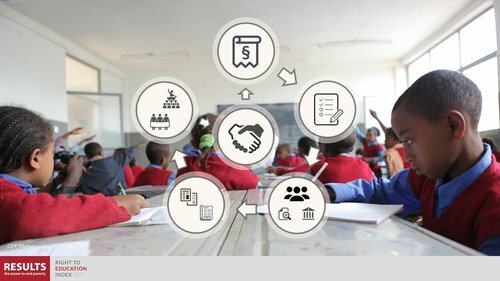 Partners’ and stakeholders’ experiences with RTEI drive and co-create growing networks of education advocates worldwide. Collaboration: The foundation of the RTEI CoP is collaboration between RESULTS Educational Fund staff, RTEI civil society partners who complete the RTEI Questionnare, RTEI advisors, and other interested stakeholders who use RTEI in advocacy and provide input on RTEI development. Participatory Action Research: Participants engage in iterative development of RTEI methods and program cycle. Interaction: The RTEI CoP is action-oriented, focusing on Questionnaire completion, discussion of indicators, advocacy strategies, and sharing resources, knowledge, and best practices. Semi-regular events led by members increases engagement with the tool and helps build relationship between members. Diversity: Although we have a unified goal--increasing the satisfaction and fulfillment of the right to education--all actors’ experiences and knowledge is varied, context-specific, and relevant to improving overall understanding of challenges and strategies in education advocacy. Appreciative inquiry: Although it’s tempting to focus on failures and challenges, framing these as lessons learned through an appreciative approach creates a positive atmosphere for all to contribute. The RTEI Community of Practice brings together civil society organizations working in education advocacy, particularly those working on the right to education and affiliated with RTEI. If you are interested in joining, please email rtei@results.org. Also remember to sign up for the RTEI listserv here. Members can email RTEICommunity@groupspaces.com, post to the RTEI Forum, share events, and join learning opportunities. RESULTS Educational Fund will maintain the listserv and website at this time. Other Community of Practice participants who want to lead discussions, webinars, or draft blog posts may do so and RESULTS Educational Fund team members will support events and activities related to RTEI and right to education advocacy. Will be added to the RTEI Community of Practice listserv and receive updates from RESULTS Educational Fund and other organizations about related right to education advocacy. Will have a platform to connect with other organizations worldwide working on education advocacy and to share resources, lessons learned, and best practices. Will have the opportunity to participate in regular webinars about conducting data-based advocacy in education, using RTEI scores for national advocacy, and developing national studies to monitor satisfaction of the right to education, among other topics. Will receive other opportunities to engage in discussions, requests for proposals, competitions, and other funding opportunities through listserv participation. If you are interested in joining the RTEI Community of Practice, please email rtei@results.org.